Steve and I met at a dinner of mutual acquaintances in Sydney. I hinted that he should ask my friend for my number and he asked me what my favourite food was so that he could take me out for dinner to eat it. I said Thai food. We were on holiday at the Cha Da Beach Resort & Spa in Koh Lanta, Thailand for a week of R & R before Steve was due to start a new job. Little did I know that he had planned to propose to me on the last night that we had there which was my birthday. He proposed at sunset on bended knee. Upon congratulating us on our engagement, the manager of the resort hinted that we should return for our nuptials and their first Western wedding ceremony (and third wedding ever) and she would include accommodation upgrade to a Diamond Villa with private plunge pool. 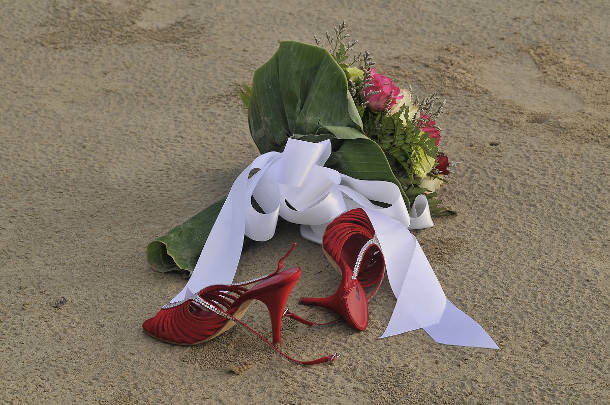 And so, the plan to have a destination wedding was borne. I had my own destination wedding before I even knew that was a thing! We got married at sunset on the same beach where Steve had proposed. We declined the resort’s offer of a Thai celebrity to perform the ceremony and had a hotel staff member from Bangkok instead. The official paperwork had to be done in Sydney to avoid a week’s wait in Bangkok for documentation. The hotel staff all came to watch and threw flower petals on us as we walked down to the beach. We had a Thai seafood BBQ buffet dinner at the resort’s Palin Terrace restaurant. The resort offered to have a local band to play at the reception, but we opted for an Ipod instead. Our package included free flow beer, wine and soft drinks for five hours and we kept the formalities to a minimum with short speeches. 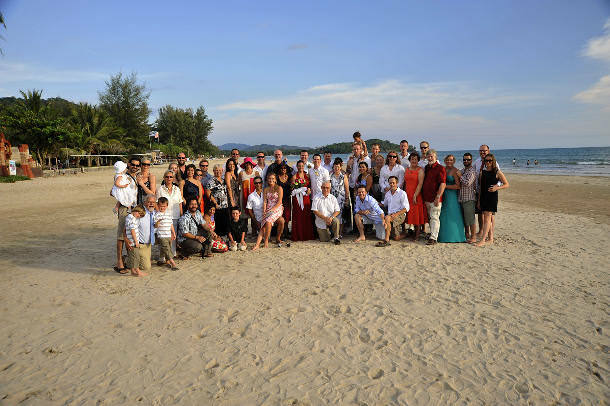 We love to travel and didn’t want a big wedding with lots of fuss so a destination wedding was perfect for us. This way we could also invite as many people as we wanted without anyone getting offended and in return we understood if people couldn’t make it. 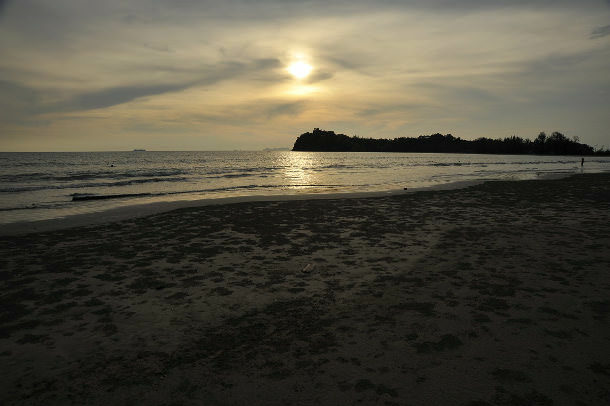 Koh Lanta is not the easiest destination to get to involving a flight to Krabi and a bus to the island which is almost on the Malaysian border. Nobody else could be involved in details as it was being planned far away and the hotel was doing it all. There was no need for people to buy presents as their presence was their present and we had no room in our luggage for gifts anyway. Plus the cost was half the cost of a Sydney wedding. If you are someone that worries about all the little details, a destination wedding may not be for you, unless you plan on doing a lot of the work yourself. 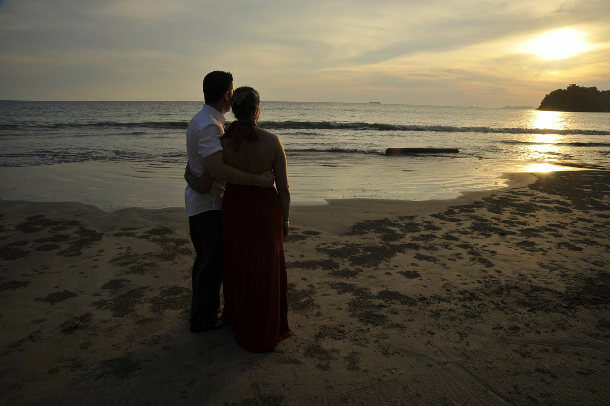 Our wedding was planned by email with the head office in Bangkok and they were always professional and flexible when dealing with our requests. We would definitely recommend having a destination wedding. Guests: 50 of our closest friends and family from all over the world - Europe, America, Asia and Australia. 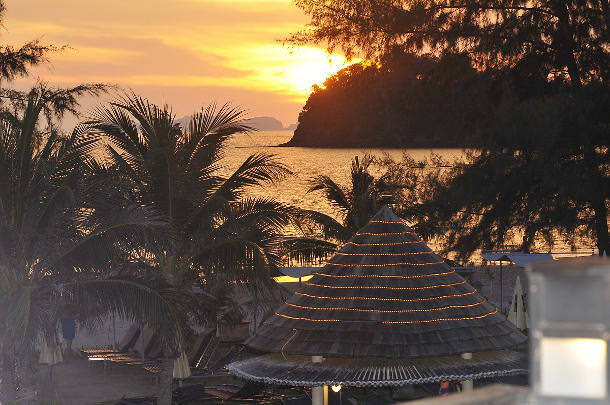 Venue: Cha Da Beach Resort & Spa. 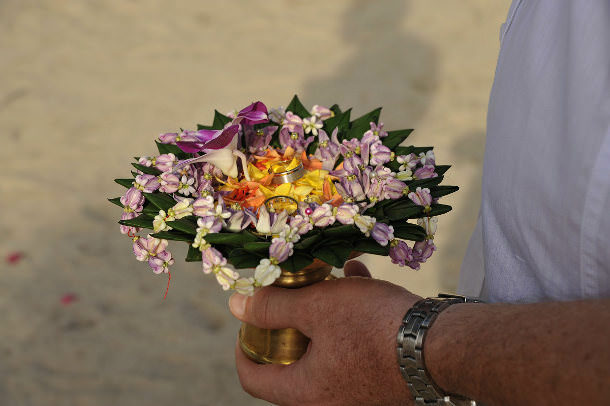 Everything on site was provided by the resort, except for the wooden candle holder table decorations that were purchased from a local gift shop in Ban Saladan. Spa treatments were included for the bride and groom and they offered our guests accommodation at a special rate. As it was off-season we mostly had the place to ourselves and most people arrived the week before, so by the time the wedding day arrived everyone had gotten the chance to know one another. Dress: Herz Design Studio Larissa in red with half train from Australia Square in the Gold Coast. Shoes: Red strappy stilettos from Zomp. 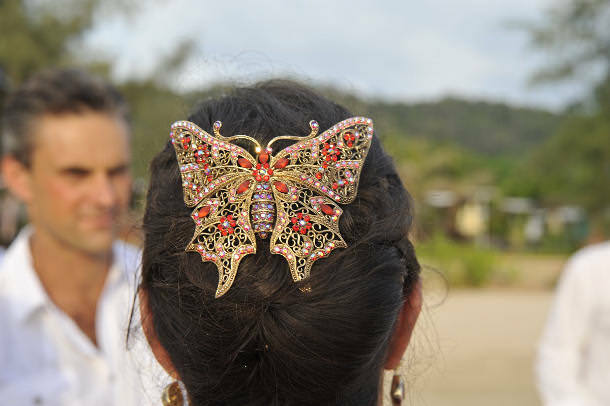 Accessories: Butterfly hair piece and jewellery from Rose Garden at the Walk, Melbourne. Flowers: Provided by resort along with button holes. Table decorations: Wooden candle holders purchased from a local gift shop in Ban Saladan. Invitations: Postcards of Thailand with printed labels affixed with details.